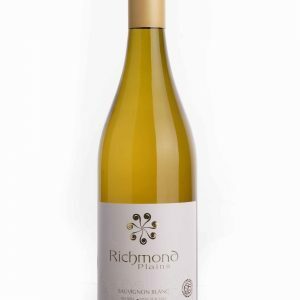 From its inception, the Richmond Plains vineyard has been tended organically without the use of synthetic fertilisers, fungicides, herbicides or insecticides. It is situated at Nelson on New Zealand’s South island. 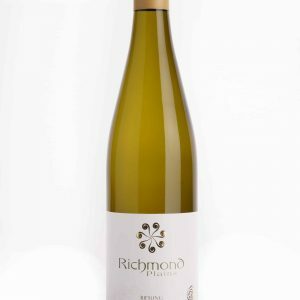 Richmond Plains was the first vineyard in the South Island to have been developed organically and has recently become New Zealand’s first certified biodynamic vineyard. 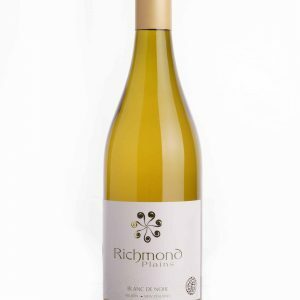 Richmond Plains is an organic and biodynamic Nelson wine making pioneer producing New Zealand’s first Sauvignon Blanc and Pinot Noir from certified Organic and Biodynamic grapes. 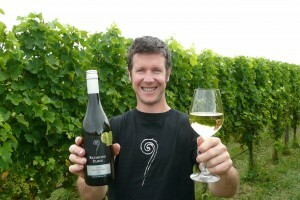 We also produce Pinot Gris, Riesling, Chardonnay, Rose, Syrah and Blanc de Noir – Pinot made as a white wine. We believe in making great wines by working with nature in our vineyard environment. By using organic and biodynamic methods we can truly express the vineyard’s character or terroir in the wines. 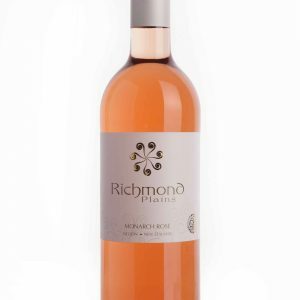 Richmond Plains has been growing and making organic wine since inception in 1991 and its grapes are certified by BioGro and Demeter New Zealand. 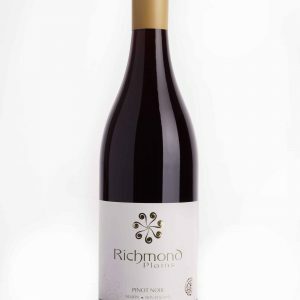 …“Reserve Pinot Noir is full of charm with fresh, smooth cherry – plum flavours.” – Michael Cooper, Wine Atlas of New Zealand. Nelson, one of the new world’s finest cool-climate wine growing regions, is blessed with the longest number of sunshine hours in New Zealand. These long sunshine hours, cool autumn nights, combined with the free-draining soils of ancient river beds form ideal grape growing conditions on the alluvial plains where we live. This temperate climate, moderated by the surrounding mountains and sea breezes of the Pacific Ocean, is perfect for producing vibrant fruit driven white wines and well-structured, elegant red wines. We firmly believe ‘Great wines are made in the vineyard’ by working with nature to enhance our wonderful growing environment. By using organic and biodynamicmethods, without the use of synthetic herbicides, fungicides, pesticides and fertilizers we can truly express the vineyard’s character or terroir in the wines. By not spraying to kill weeds our vineyard is rich in plant, animal and insect biodiversity. This helps the vineyard to develop a natural balance where no one plant or insect can dominate. With no spray strip and clever companion planting our vineyard is a rich green environment creating an attractive habitat for a variety of native birds and butterflies like the Monarch and Admiral. The biologically active soil is rich in natural fertility and beneficial organisms and insects. As a bonus of this fertile environment we also enjoy harvesting a variety of delicious wild mushrooms, berries and asparagus. We employ a mixture of grape clones and trellising including Scott Henry and Vertical Shoot Positioning (VSP) best suited to enhance the natural flavours of each wine. Extensive manual techniques are used to manage the vines, including leaf plucking, pruning, fruit-thinning and harvesting by hand. Richmond Plains is an organic grape growing and wine making pioneer – producing New Zealand’s first Sauvignon Blanc and Pinot Noir wine made from certified organic and Biodynamic grapes. Our vineyard is independently Certified Organic by BioGro New ZealandBioGro New Zealand and Demeter New Zealand. The Koru or unfolding Fern Frond symbolises new beginning, unfolding life and growth. Just as each season brings new life to the vineyard and new wines to make, the flavours of previous wines are gently developing and unfolding as they mature. We believe in making great wines by working with nature and enhancing the environment. By using organic methods, without the use of synthetic chemicals, we can truly express the character of vineyard or terroir in the wines.